Flying via Chicago, I always noticed a long line to buy popcorn from a small stand. Afterwards on board, I noticed many taking home bags of the same popcorn. Can popcorn be that good? 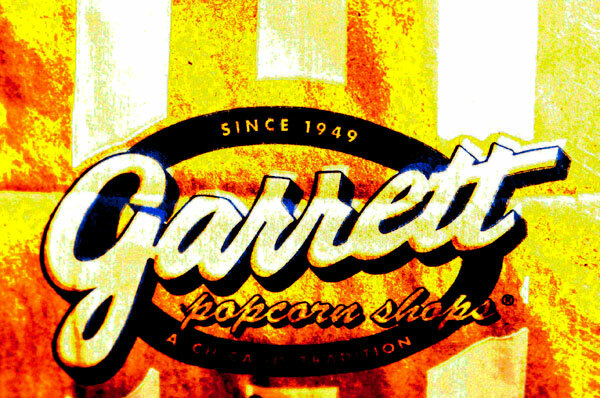 Garrett is Chicago based local popcorn chain that sells higher than movie-theatre-price popcorns outside a movie theatre. 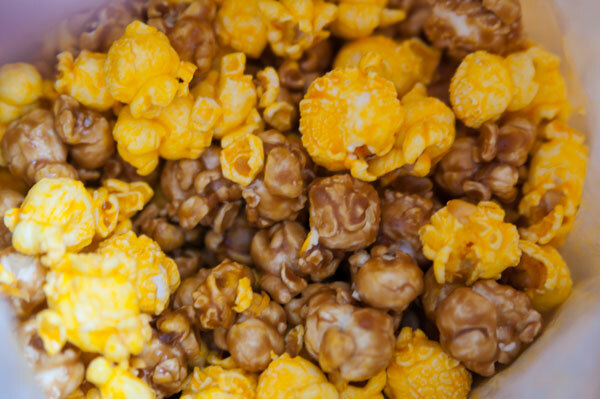 Garrett’s most popular selling popcorn is an unorthodox combo of ½ caramel and ½ cheese called the “Chicago Mix”. 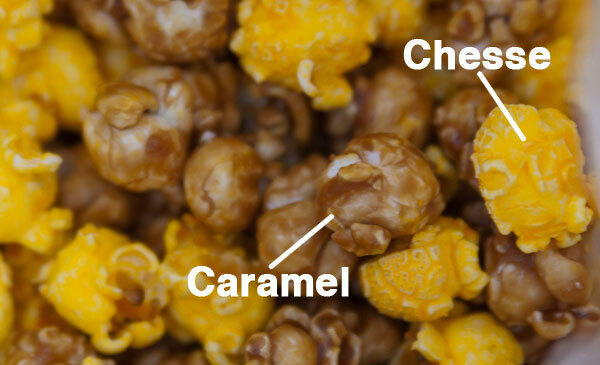 Caramel ‘s crunchy and sweet taste is complimented well by cheese’s buttery and salty bite. At first like any normal person would, I thought of it as somewhat strange combo. However, when you eat the Chicago mix, it’s strangely fulfilling. Nevertheless, sorry Chicago, I still prefer the Caramel. 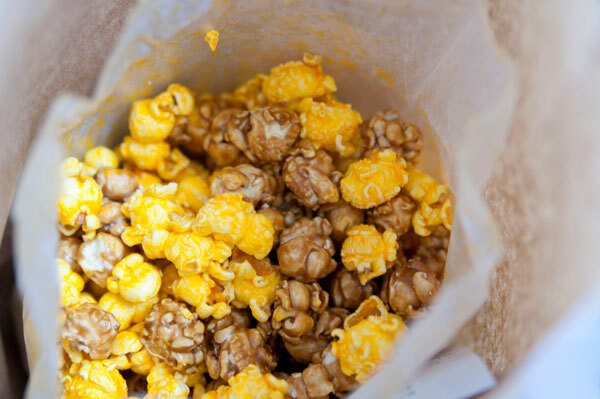 The caramel coating outside popcorn was perfect. 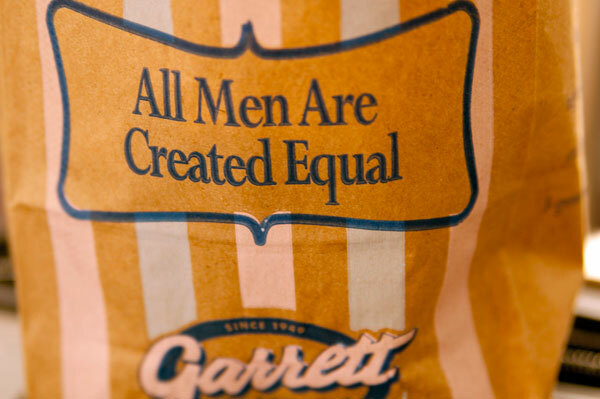 “All men are created equal” in choosing their own popcorn. Cheese is decent but leaves yellow dye on hand. It’s a food coloring (Tartrazine or Yellow 5) but three pinch fingers on my right hands still had yellow hue the next day after shower. Overall, what this experience taught me is that herd mentality is often right when it comes to food. Buy food from the place with a longest line! I also learned that good popcorn could be lunch, dinner, and breakfast.